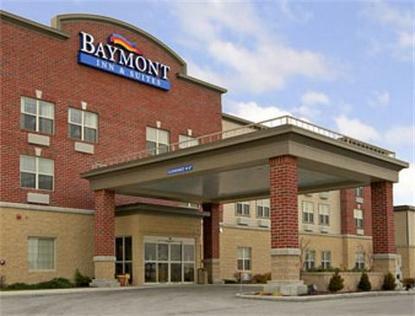 Now offering FREE High-Speed Internet Access in ALL rooms.Baymont Inn & Suites-Plymouth is located minutes from Road America Racetrack, Kohler Golf Courses and Lake Michigan. Wade House, frequented by weary travelers in the 1860's, is close by. Shop at Deer Trace or visit Wood Lake for specialty stores and boutiques, and enjoy plenty of restaurants. In less than an hour, reach the sports and entertainment venues of Bradley Center, Miller Park Brewers and Lambeau Field Packers . We have a Fitness Center for your convenience.